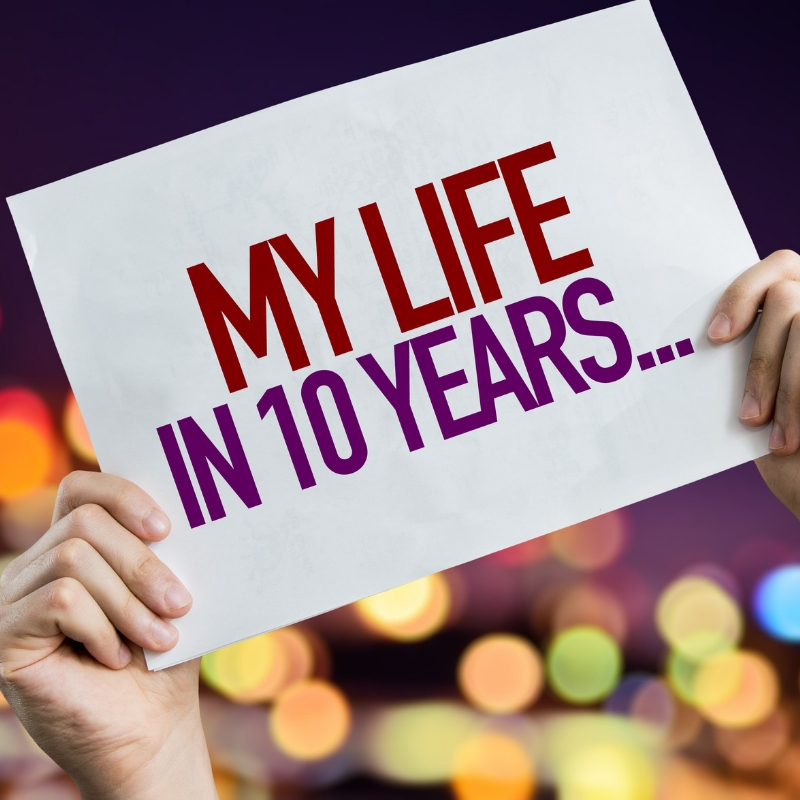 Ten-year goals – a decade – is a long time. In our fast-paced, modern world, things may be almost unrecognizable ten years out. Technology, politics and world events are sure to change the landscape. Yet, if we are going to have a say in our lives, we need to plan for this uncertain future. One thing about a ten-year time frame is the ability to master an area of our lives. If we play the guitar, for instance, we can become really good over a decade. We can master the craft. The same goes for our careers, our family life, and building a business. Malcolm Gladwell in his book, Outliers, delivers the researched conclusion that mastering talent in our lives takes on average, 10,000 hours. Given a forty hour work week, this works out to 4.8 years of dedicated practice, working full time. Ten years then, it would seem, would give us plenty of time to become proficient at our desired occupations and worthwhile ventures.